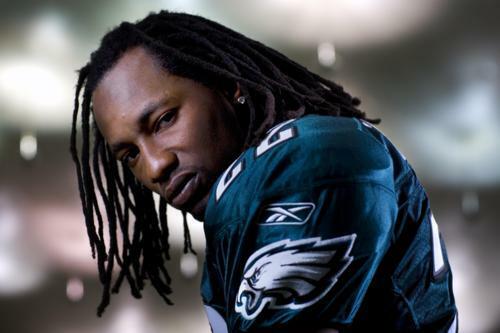 Since yesterday was Presidents Day, it seems like a good time to reflect on the Eagles own self-proclaimed president, Asante Samuel. Samuel has had an up and down relationship with Philly fans since he arrived in 2008. First he was an overpaid slacker, then an interception machine with a fun and outsized personality, and then a few more missed tackles landed him back on the negative side of the ledger. Through it all, though, Samuel has been a one of the best coverage cornerbacks in the NFL. While 2011 was a down year for interceptions, Samuel really hasn’t shown any decline year over year. In some ways he was the best cornerback the Eagles had last season. Did you know that Samuel has more interceptions before age 31 than any other cornerback in the last 20 years? And many of the guys just below him (Champ Bailey, Aeneas Williams, Ty Law, Deion Sanders) managed to play well through at least a few years of their thirties. All in all, I’m relatively bullish on Samuel’s potential to remain a high value coverage corner in the next few years. If his game were built on speed and physicality, you might project more of a dropoff. But Asante has always been an interception artist, rather than a complete player. However, it’s a near certainty that Samuel will get to play out the remainder of his career in a different jersey. The Eagles explored trade possibilities for him last year, but never pulled the trigger (even turning down a second round pick from Detroit). After a year of turmoil in the secondary, Howie Roseman has little choice but to ship Samuel out this time, probably for no more than a third round pick. When that happens, Asante’s play and his personality will both be missed. Tagged with Philadelphia Eagles, NFL, Asante Samuel, Cornerback, Howie Roseman, Trade Rumors, Free Agency, Offseason, Coverage, Statistics, Interceptions. February 21, 2012 by Brian Solomon.